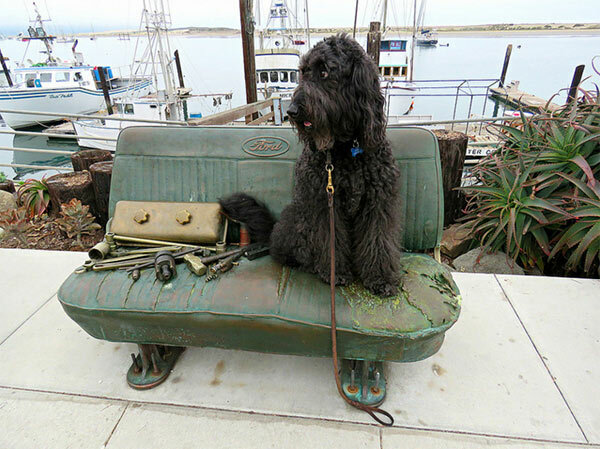 DogTrekkers touring the Central Coast wine country will leave with happy tails after stopping by any one of the area’s dog-friendly wineries. We’ve paw-tested quite a few that are sure to please, but before we get started with winery suggestions, we have a couple of suggestions for wine-tasting visitors who’d prefer not to drive. The Wine Line is a hop-on, hop-off tour service that lets you create your own itinerary from a list of more than 60 Paso Robles wineries. Well behaved canine visitors who can sit in your lap or between your legs are welcome to ride. Wine Line vans travel in a continuous loop, picking up and dropping off passengers every 40 minutes. Another option is Breakaway Tours, which crafts private tours in which you and your four-legged friend(s) ride in comfort to three or four dog-friendly wineries. Visitors will encounter friendly winery dogs all along the Highway 46 East and West Paso Robles Wine Trails. Whalebone Vineyard's old English bulldog, Tiffany, is a local character whose mug graces the label on the winery’s delectable Boneyard blend. 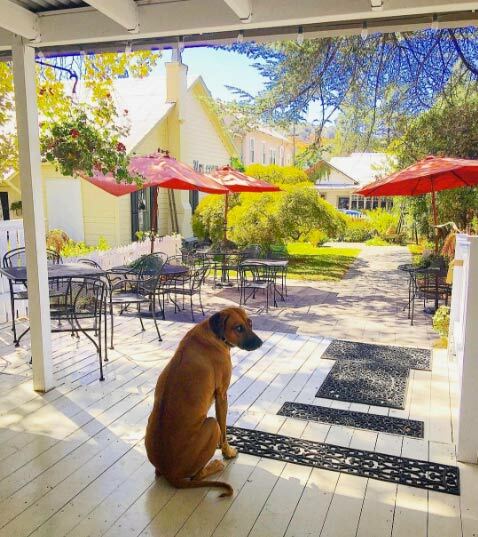 Tasters sipping through Whalebone’s menu are welcome to have friendly, leashed dogs join them in the tasting room and on the patio. Adelaida Winery is a must for dog lovers with a passion for vino. This family-owned farm is certified through the Sustainability in Practice program and brings a long list of accolades to the table. While humans sample estate wines, canine connoisseurs are attended to with fresh water and locally made organic dog treats. Two others worth a quick mention are Eos and Eberle, both of which have dog-cordial patios. Eberle goes above and beyond with dogs welcome in the tasting room and on cave tours, crowds permitting. While at Eberle, make sure to say hello to the winery dogs, standard poodles Roussane and Zinfandel, while sipping a luscious Full Boar Red.